Reason for inclusion: This is on a whopping 24 lists at icheckmovies.com. At the time of its release, The Best Years of Our Lives was a monster hit. It won an impressive seven Oscars (plus an additional honorary award) and raked in the cash at the box office, second in revenue only to Gone With the Wind (which I will be reviewing later this year). The film was also released just one year after the conclusion of World War II, offering a fresh view of what life was like for returning veterans. Perhaps most amazingly, it is still incredibly relevant over 60 years later. The film focuses on three servicemen who form a friendship on their flight home to the fictional Midwestern town of Boone City. Each man is coming back to a completely different scenario, and all three struggle to come to terms with an America that is vastly different than they remembered. Fred Derry (Dana Andrews) was a respected Army Air Forces captain in Europe, and he returns to a beautiful young wife, Marie (Virginia Mayo). He attempts to get his former job back as a drugstore soda jerk, but the pharmacy is now under new ownership, forcing Fred to earn his way to a better position. His wife, apparently now interested in the luxuries of life, is not thrilled with Fred’s low-paying job, causing significant problems for their marriage. 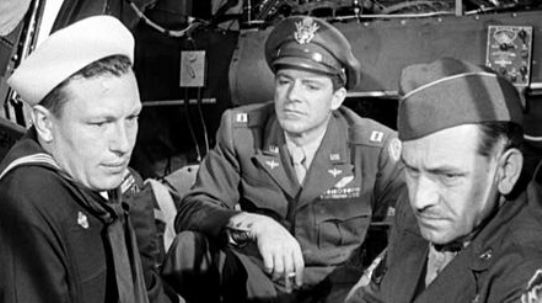 Al Stephenson (Fredric March) might have it best out of the three veterans, though he still has his own issues. Al has a nice family, including wife Milly (Myrna Loy), older daughter Peggy (Teresa Wright) and a college freshman son, and he even gets his old job back as a bank loan officer. Better yet, the bank is pleased with his military background and offers him a promotion. However, Al is a bit too lenient in granting loans for other veterans, at least in the eyes of his superiors, and this presents a moral dilemma for him. All three men have to deal with people treating them differently, and it sometimes seems that their only real sanctuary is gathering together at the local watering hole, Butch’s saloon. There they get good and drunk in the company of each other, the only people who can truly understand what they went through. Nowadays, it’s discouraging to hear of veterans treated poorly by those who don’t believe in the wars they are fighting in. Shockingly, there is even an example of this in The Best Years of Our Lives. I couldn’t believe it when I heard a customer at Fred’s pharmacy ranting about how Hitler and the communists were actually the ones doing good in the war. Apparently Fred couldn’t either — he beat the living tar out of the man! The Best Years of Our Lives runs a bit long, and the conclusion may be a little too optimistic, but it’s still a damn fine piece of cinema. Given the story behind it and its year of release, it’s easy to see why it was such a hit back then. It’s just a shame that so many of the difficulties it presents are still relevant today. One of William Wyler’s best, for sure. Fine review, Eric. Thanks, Michael. Looking forward to seeing more of his work. Nice review, Eric! My History teacher used to talk about this movie all the time. He felt it was very significant along with “Shane.” I must agree. It has been a long time since I’ve seen it but I may re-visit it very soon. Good job! Thanks, Vic! Shane is still one I need to see — maybe a good candidate for next year’s project. “Shane” is epic. Very powerful. All around perfection with an incredible mythos that is timeless. I hope you get around to it. Will do, man. Thanks for the tip! 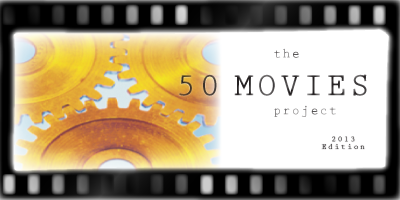 You’ve got such a discipline w/ the 50 Movies Project Eric, good for you! 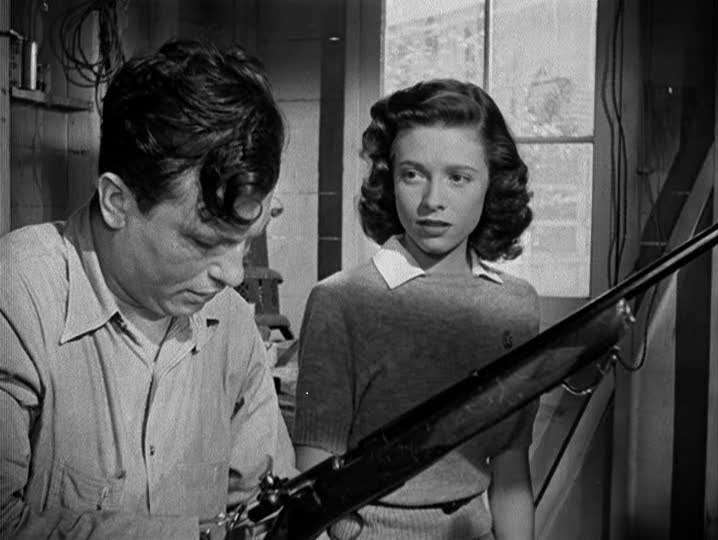 This is one of Wyler’s films I really need to check out! Cheers, Ruth. This one is essential viewing. This is one on my own to-see list as well. Glad to hear it lives up to the hype.